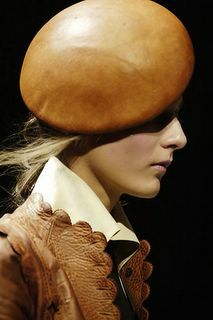 I laughed when I saw this comparison on Blogdorf Goodman- at left is a hat from Alexander Mcqueen's latest collection. 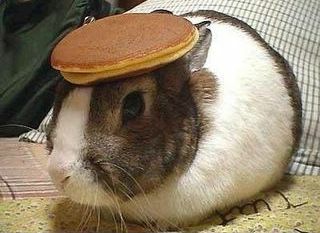 Below is a pancake balancing bunny. Posted by la femme at 9:48 p.m.